The safety of children in our schools is paramount and is the responsibility of all of us. The Sheriff’s Department’s top priority is to immediately investigate any potential threat. On Wednesday evening November 7th, 2018, San Dimas Sheriff’s Station received information regarding a social media post, implying a possible threat to the students of San Dimas High School. 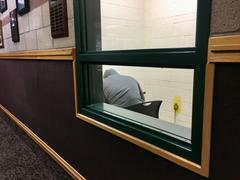 San Dimas Sheriff’s Station’s Detective Bureau immediately began investigating the threat, utilizing the Department’s Criminal Intelligence Bureau and other Department resources. We contacted and maintained communication with Bonita Unified School District school officials regarding the situation. On Thursday morning, San Dimas Sheriff’s Station sent patrol deputies to the high school campus for additional security out of an abundance of caution. Also on Thursday morning at approximately 6:30am, San Dimas Sheriff’s Station detectives made contact with a person of interest in connection with the threat. There is one person currently detained. The person is a juvinile. The investigation is continuing and the LASD does not have evidence of any credible threat to the campus or students at this time. We will continue our diligence in the protection of our community and schools. Anyone with information about this incident is encouraged to contact the Los Angeles County Sheriff's Department's San Dimas Station at (909) 450-2700. If you prefer to provide information anonymously, you may call "Crime Stoppers" by dialing (800) 222-TIPS (8477), use your smartphone by downloading the “P3 MOBILE APP” on Google play or the App Store, or by using the website http://lacrimestoppers.org.